For my birthday this year, John took me to a new Lebanese restaurant and I loved it. 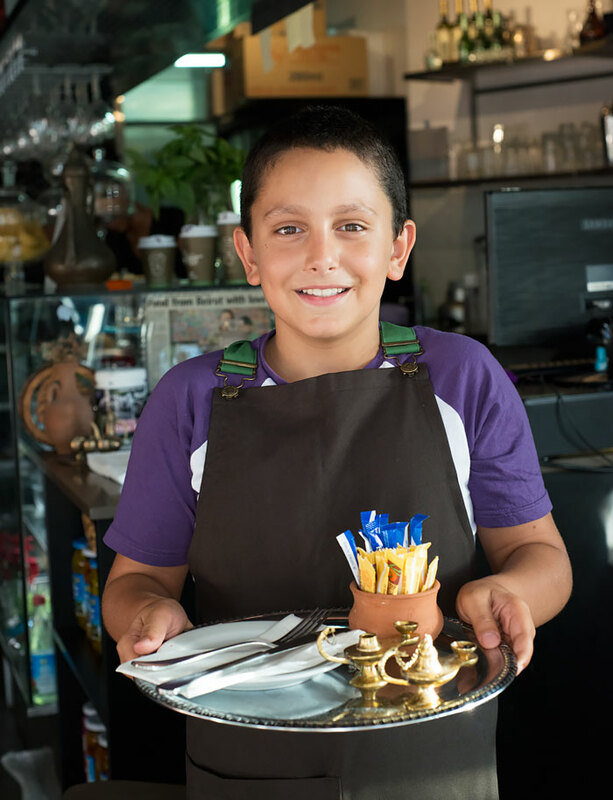 It’s run by the Bou Mansour family of Georges, Sarah and their son Luca. On our first visit I didn’t bring my camera because I don’t blog on my birthday. Call me lazy or queenie but I have rules. 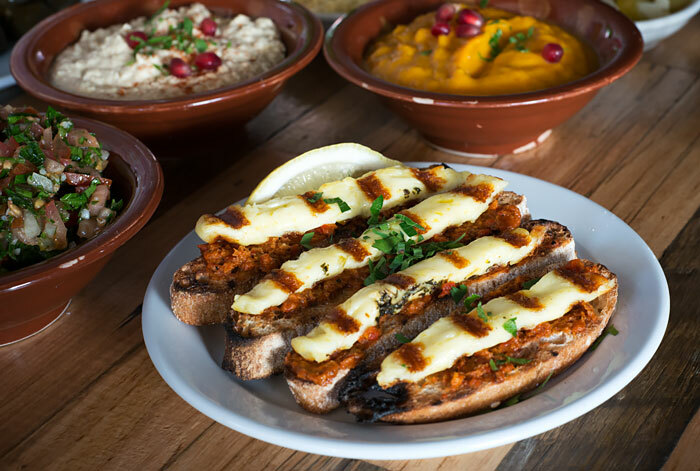 Our server told us about how the Mansours, after spending time in Lebanon, came back to Australia and opened Zahtar to share their family recipes passed down from generations. I told her that I was a food blogger and I’d be back so I could share this restaurant with my readers. I mentioned our meal on Facebook and within 24 hours Georges and I were friends. Today, John asked if I felt like Lebanese food. (Why do people say it like that?) Of course I said yes. We arrived late afternoon so it would still be light enough to photograph. 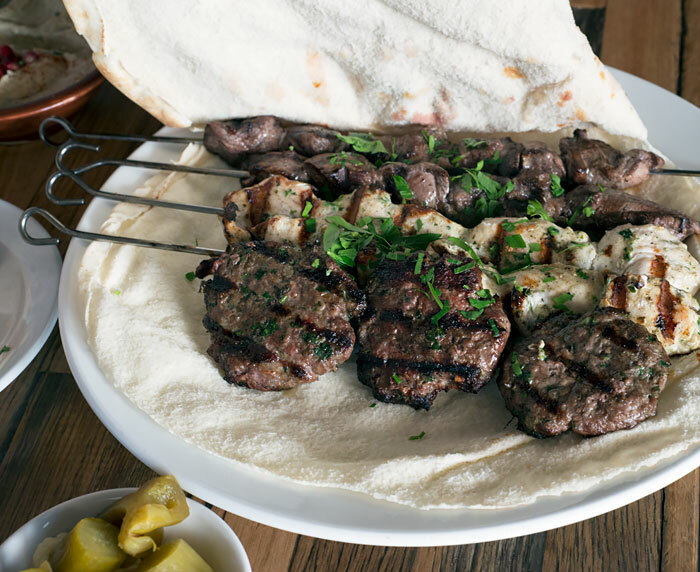 We again ordered the Lebanese Table which is 12 dishes, including the lamb and chicken skewers and the beef patties, dips, salad, pickles and bread. This is the restaurant’s wallpaper. For ten minutes we tried to figure out all the country stamps and then tried to write in Arabic and failed. Not only couldn’t I speak it but I couldn’t write it either. How do you write right to left without smudging what you’ve already written? I have always wanted to learn Arabic and never had the opportunity. This bread spread with spicy chargrilled capsicum dip with grilled halloumi on top was outstanding! I want to learn how to make this at home. Maybe one day the restaurant will offer a cooking class? I can only hope. We didn’t finish everything and John refused to leave one bite, so we came home with a few olives and a couple of pickles and some stuffed vine leaves. This is Luca and he loves working in the family business. He can set a table quicker than you can blink your eye and he’s got the most amazing smile. 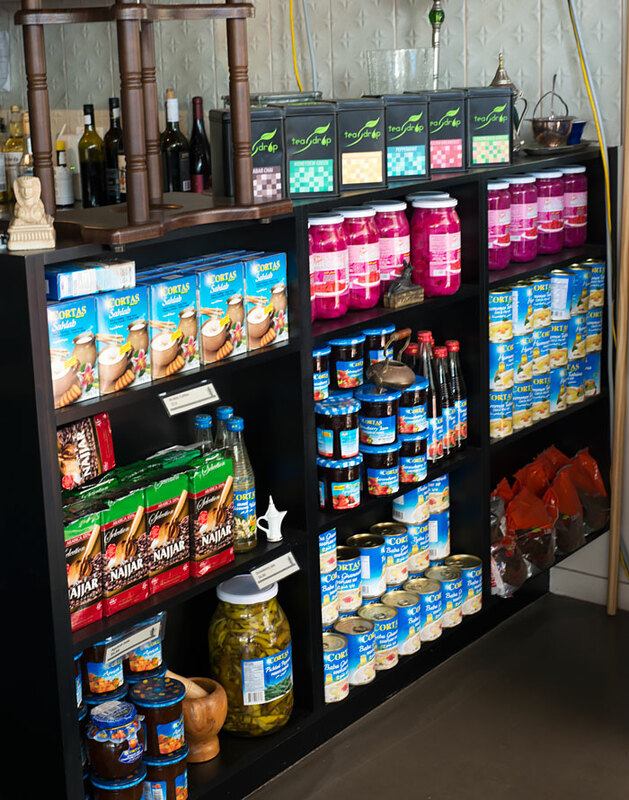 If you want Lebanese products such as pickled peppers, pickled eggplant, pink pickled turnip and many other products, this is the place to go. I saw all these and hoped it meant they were going to offer cooking classes so we’d buy all that stuff. The vine leaves are stuffed with cheese, olives and zahtar. John ate those two on the top before I got my fingers over there. The Lebanese beer was mine and I loved it. I really like falafel but these are different to any that I’ve ever had before. They’re big, crunchy on the outside, soft on the inside and served with a tahini sauce and pink pickled turnip and pickled peppers. John and I love hummus and always have some in the fridge or the ingredients to make it in the pantry. Zahtar makes a better hummus than I do and the ruby pomegranate arils are always mine. The pumpkin dip is really interesting and the server on our first visit told us that it was their most popular dip. I know why. The meat arrives covered in a blanket of pita bread to keep it warm. The shish tawouk or chicken skewers, are marinated in yogurt and spices and I have to tell you how wonderfully cooked it was. See how moist? It was so soft you barely had to chew! 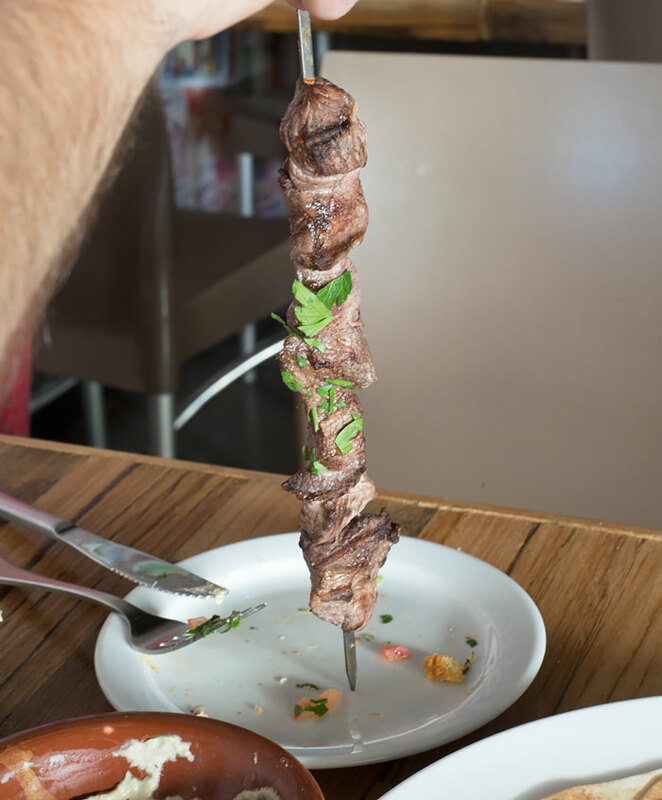 John did the honors with the lamb shish kebab. The lamb was cooked perfectly pink inside, just the way we like to eat it. Now, honestly, I was way beyond full by this point and we were sitting there enjoying the last bit of red wine from the Adelaide Hills and I looked over at the dessert case and saw something that looked really interesting. It’s Lebanese cheesecake. The base, sides and top are all phyllo dough, all buttery and covered in honey and the cheesecake tastes like no cheesecake I’ve ever eaten. It’s cheese all right but not tangy cream cheese. The server didn’t know how it was made so that’s something to discover on my next visit. Zahtar is on Ocean Street with new restaurants lining the street, nearly all the way to the water. The Sunshine Coast couldn’t be happier and every one of these restaurants was busy today – late afternoon. Our meal was independently paid for.